A mother is urging for action after her son was left with a damaged retina after playing with a toy laser pen bought from a school fair. Jonathan Marshall, 8 years old from Bushey Heath, shone the laser pen in his eye to see how strong it was – leaving him with a thermal burn and damage to his retina. “Brief exposure is enough to cause a retinal injury that can be life changing,” added Ophthalmologist, Fahd Quhill. 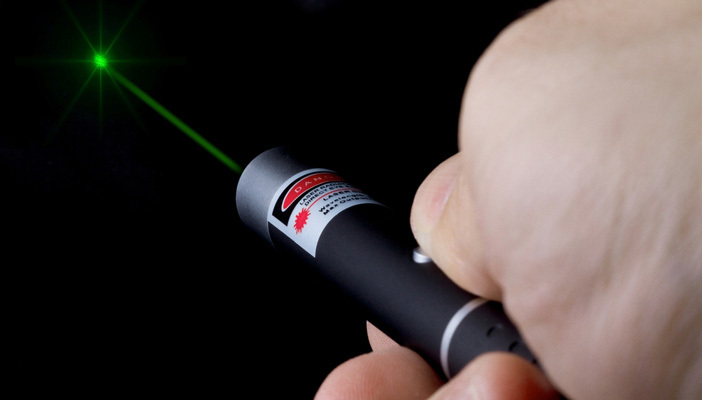 It is currently illegal to manufacture laser pens in the UK, but not to import them. “The problem is companies import cheap products which are never tested – and in this case one of them has damaged my son’s eye,” explained Angela. Even basic laser pens, which are often advertised as supposedly safe one-milliwatt devices, commonly exceed this limit by 40 to 110 times because they have deliberately been mislabelled. Hertsmere MP Oliver Dowden has promised to put pressure on government departments to stop laser pens being sold in the UK. A visit to Moorfields Eye Hospital confirmed that Jonathan had burnt his retina, but it is not yet certain whether his eyes will be permanently affected.